The Jara Unit is a personal handheld device that can be used anywhere, anytime, without requiring access to infrastructure. Jara empowers people to rebuild their communities and continue their education, despite their circumstance. The 2015 earthquake in Nepal displaced millions of people, with over 1 million out of school kids. 8,242 community schools have been impacted, with 25,134 classrooms fully destroyed and another 22,097 partially damaged. There are few schools that have been effectively rebuilt after the earthquake. Even with the schools rebuilt, it remains a challenge for children to attend, especially without plumbing systems near the schools. 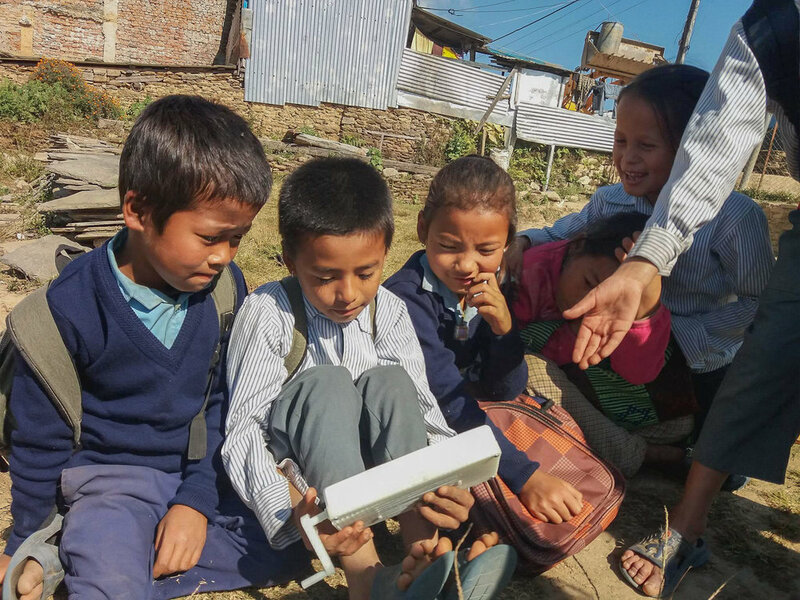 We provide emergency education through the Jara Unit - the first low-cost education device that uses basic technology and does not require any pre-existing infrastructure. It contains pre-loaded educational content customized to each region of deployment.